Cell-cell interactions are fundamental to multicellular organisms. Epithelial and endothelial cells exist only in groups surrounded by neighbors. Cell-cell interactions between epithelial and endothelial cells provide platforms for cell-cell adhesion and signalling. 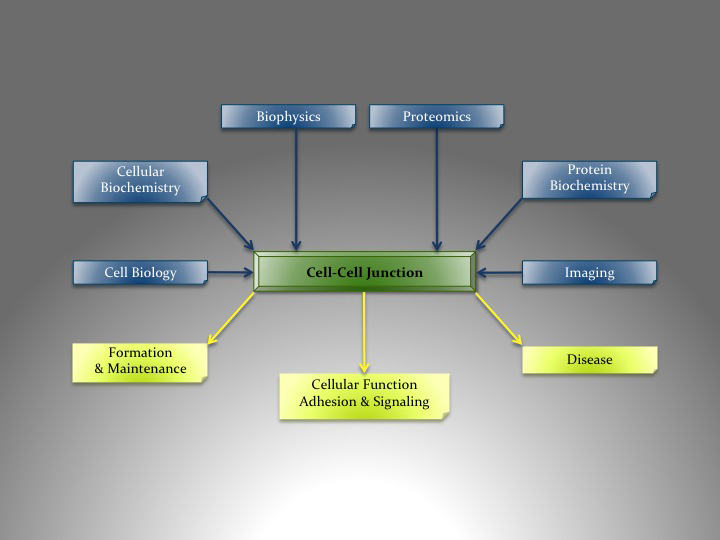 The regulation of epithelial and endothelial cell-cell interactions is very complex and requires efforts from multiple disciplines including basic cellular and molecular methods as well as biophysical and bioinformatics approaches.